Developed with craft brewer needs in mind, this innovative product line offering was specifically designed to help the craft beer market meet its remarkable growth potential. Our Hops Addition system allows breweries a safe and efficient way to dry hop and creatively induce flavors into beer. Not just for hop induction, they can be utilized to induce fruit, coffee, spices, nuts, honey, maple syrup and more. The induction options are limited only by the brewers creativity. 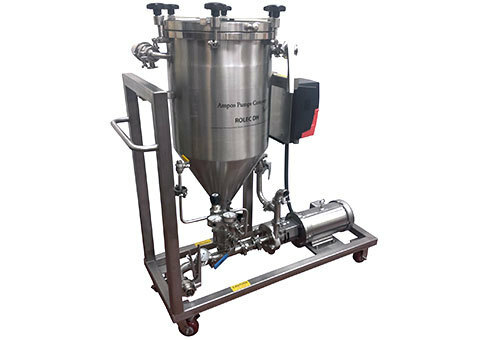 Our Axiflow system is capable of pulling powders into low viscosity liquids as well as very high viscosity liquids and is ideal for the brewery industry.